We play a variety of music from underground artists to mainstream along with live guest co-hosts. Our show host Ms. 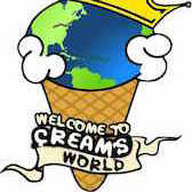 Cream of the Crop welcomes you to Cream's world every Saturday from 2p-4p. We bring you celebrity interviews,Elite Fashion Segment with our 'Fashionista of the Month', 'What Melts My Cream?" & R&R along with our official DJ...DJ Uncut's "Elite Mix". 216 The Beat Radio Station is a fully licensed music station. We work with the largest copyright organizations in the world. Our partners include ASCAP, BMI, SESAC, and SoundExchange. When our DJ's play your music you know through Royalty notification.